The grim reaper following elderly people – and getting closer al the time. The personification of death in the form of the grim reaper pursuing an elderly couple. 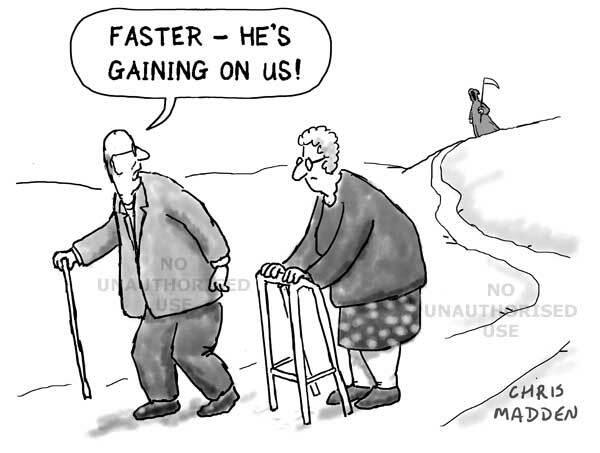 The old people are slowing down due to old age and infirmity, thus allowing the grim reaper to catch up with them.